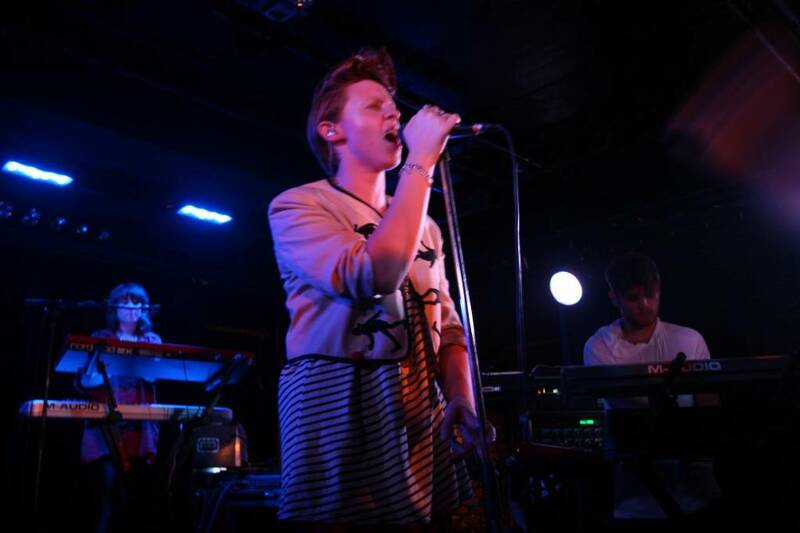 La Roux at the Biltmore Cabaret, Vancouver, Aug 12 2009. Kayla Joffe photo. Star quality is an elusive thing, but 25-year-old Elly Jackson has it. 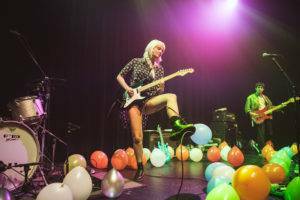 Jackson, who performs and records (along with collaborator Ben Langmaid) under the name La Roux, has been blowing up, as they say, across the pond. Last night at Vancouver’s Biltmore Cabaret, this overseas buzz translated to a packed house of indie-music tastemakers and, owing to the extreme synthpop and androgynous look of the singer, a segment of the audience that made it look like Pride Week had come a little early. There’s nothing particularly original about the UK act’s music; imagine Gloria Gaynor‘s “I Will Survive” rewritten by Yaz (or Pet Shop Boys, though Jackson’s voice has way more in common with Alison Moyet‘s) and you have a pretty good idea of what the band’s about. Not that Jackson and her three-piece (from what I could see) band didn’t pull off a decent 45-minute set, which left us wanting more. But it’s the singer’s voice and personality that win the day; as she sang “In For the Kill” and “I’m Not Your Toy”, two of the stronger songs off the La Roux debut, she was a larger-than-life conduit for the defiance and vulnerability felt by everyone in the room at one time or another. Which made the moments of genuine emotion all the more effective. When, during “Bulletproof”, Jackson stepped up on a monitor or something (couldn’t see) to survey the audience, which was singing along at top volume and waving arms in the air, her aloof poise fell away and she broke into a gleeful smile. The already hot room warmed considerably. La Roux at the Biltmore Cabaret, Aug 12 2009. Kayla Joffe photo. 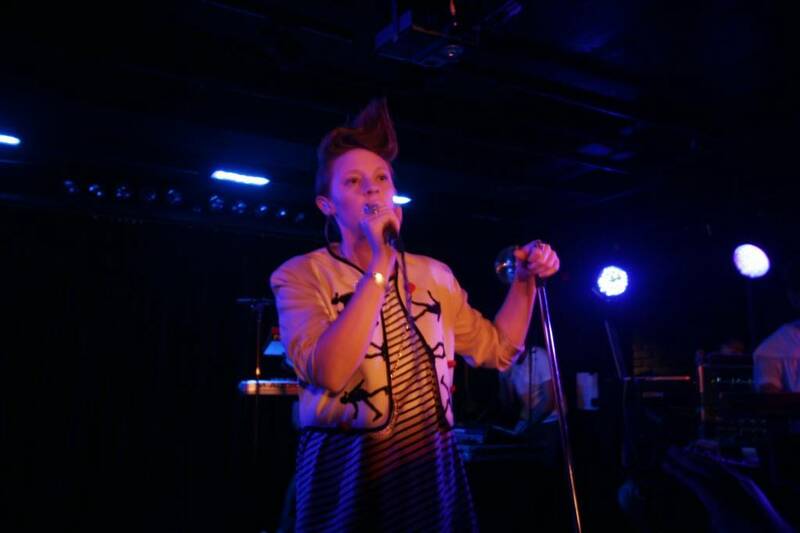 This entry was posted in concert reviews and tagged Biltmore Cabaret, La Roux, Vancouver concerts. Bookmark the permalink.